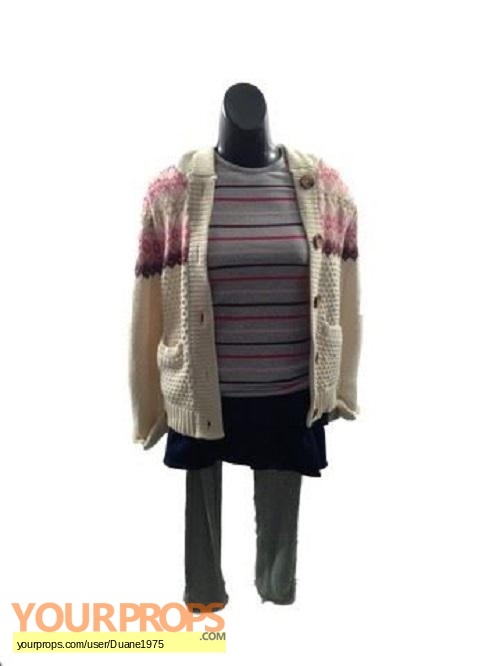 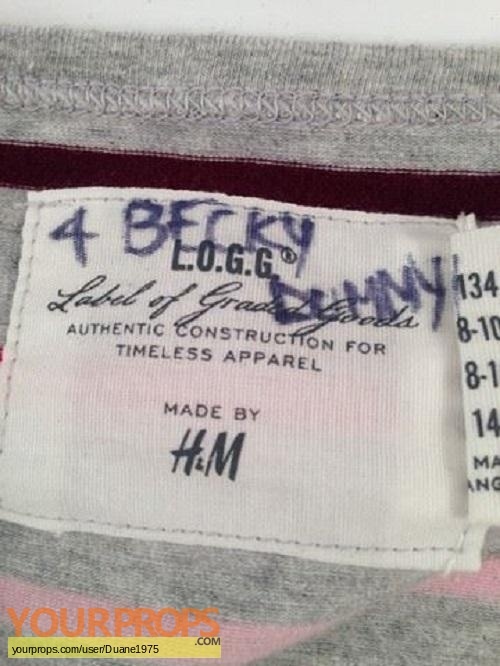 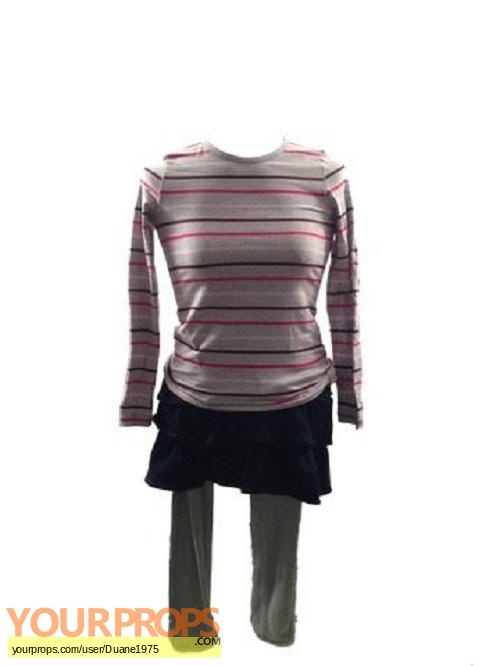 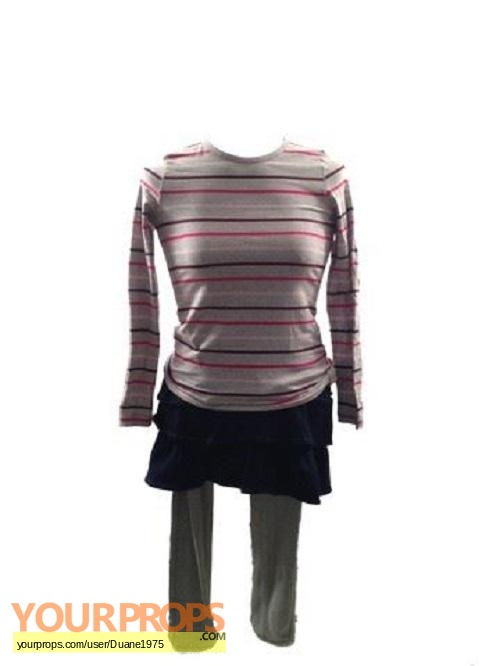 Becky (Aryana Engineer) screen worn (labeled Becky #4, outfit used on dummy), "H &M" light grey t-shirt with horizontal stripes (Size 8), "Gap Kids" cream knit sweater with pattern(size 8), Light grey "Gap Kids" leggings (size 8), blue denim ruffle skirt "Gap Kids" (size 8), cream underneath long sleeve shirt with black faux suede ankle boots with square studs (size 3). 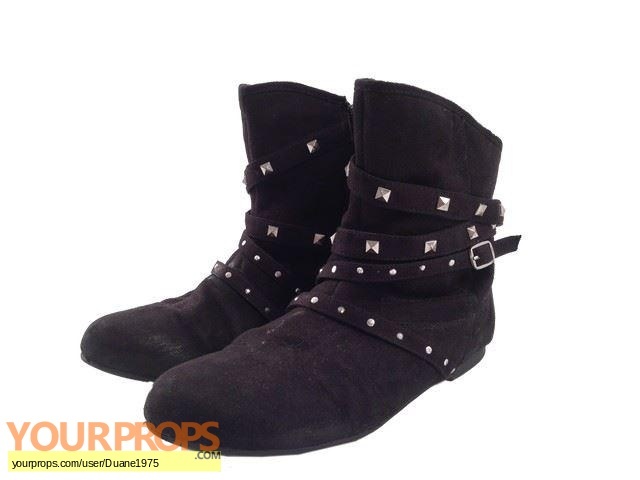 view all 7 items of "Duane1975"
** The content of this listing is the sole responsibility of Duane1975. Yourprops.com, its owners, agents and assigns assume no liability.